DataMan 200 시리즈 리더기는 DataMan 100 시리즈 리더기의 성능과 기능을 비롯하여 이더넷 연결 기능이 추가된 것이 특징적이며, 고정형 산업 ID 리더기 제품에서는 세계 최초로 액상 렌즈, 가변 포커스 기술 도입. 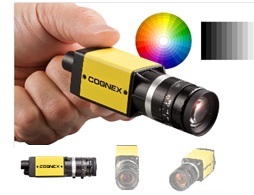 Small in size but exceptional in barcode reading performance, the DataMan® 50/60 series of compact barcode readers bring the premium Cognex barcode reading technology to single-line laser scanner arena. Small in size but exceptional in barcode reading performance, the DataMan® 70/72 series of compact barcode readers bring the premium Cognex barcode reading technology to single-line laser scanner arena. The DataMan 150/260 readers are fully configurable to meet the demand of ID applications today. The DataMan 150 can be configured as a RS-232 or USB device, while the DataMan 260 is an Ethernet based reader. 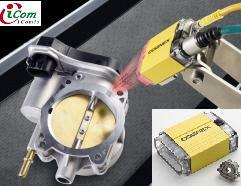 DataMan 8050 barcode readers bring Cognex’s patented algorithms to a new, lightweight industrial handheld platform. DataMan 8050 reads 1-D and 2-D barcodes with incredible speed every time even if it’s damaged, smudged, scuffed or poorly marked. DataMan® 8600 시리즈 이미지 기반 ID 판독 장비는 다양한 크기, 품질, 마킹 또는 인쇄 방법으로 생성된 직접 부품 마크(DPM), 2-D 및 1-D 코드의 디코딩을 위해 세계에서 가장 혁신적인 첨단 바코드 판독 기술을 제공. In-Sight Micro 비전시스템 기능 매우 작은 크기의 새로운 독립형 비전시스템 제품군인 In-Sight® Micro 8000 시리즈는 “지나치게 단순한” 기존의 GigE Vision® 카메라 폼팩터에서 PC 속도로 업계 최고의 비전 툴 성능을 제공합니다. 불과 31mm x 31mm x64mm 크기의 모든 In-Sight 8000 시리즈 모델은 PoE(Power over Ethernet)를 갖추고 있으며, 소형 공간에 통합하는 데 필요한 최상의 독립형 비전 시스템 옵션을 선사합니다. 세계 초소형 크기에, 전체 라인을 갖춘 독립형 비전시스템인 In-Sight 8000 시리즈는 VGA, 1MP, 2MP 및 5MP 해상도로 다양한 범위의 비전시스템을 지원합니다. 고속 통신을 위해 Gigabyte Ethernet을 지원하는 이러한 비전시스템은 매우 빠른 영상 취득을 비롯해 두 가지의 성능 레벨을 제공하므로 다양한 머신비전 요구를 충족할 수 있습니다. The DataMan™ 6400,6500 and 7500 are handheld ID readers that provide outstanding performance on direct part mark Data Matrix™ codes. These codes are produced by dot peen, laser, electrochemical etch, and inkjet markers ? on a variety of surfaces such as metal, glass, ceramic, and plastic. 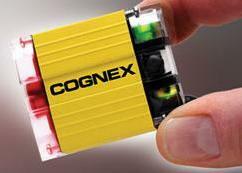 Cognex ® In-Sight ® fixed-mount ID readers provide unmatched code reading performance. These readers integrate lighting, camera, ID software, processor and communications into an industrial-grade design. making them the most versatile and rugged fixed-mount readers available today. The In-Sight ® 1721 is the highest-performing wafer reader ever available to the semiconductor industry. It offers twice the speed of earlier In-Sight wafer readers, a slimmer package, and full mounting and functional compatibility with earlier models. 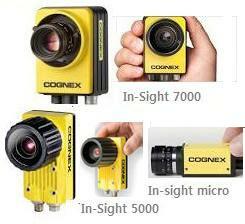 Cognex In-Sight Micro는 세계에서 가장 뛰어난 기능이 탑재된 간편한 초소형의 올인원(all-in-one) 비전 시스템입니다. 작은 크기(30mm x 30mm x 60mm)에도 불구하고 커다란 성능을 지원하는 In-Sight Micro를 통해 사용자는 다양한 모델을 선택해서 사용할 수 있습니다. 비전 시스템은 다목적 애플리케이션을 비롯한 다양한 성능 및 해상도를 갖춘 ID 모델에서 사용할 수 있습니다. 단일 지점 검사 작업이나 비전 네트워크에 대해 공장 전체의 네트워크를 구축하는지 여부에 상관없이 In-Sight Micro 모델을 사용하면 해당 애플리케이션의 비용과 기능 요건을 충족할 수 있습니다. 또한 시스템 확장의 경우 여러 In-Sight Micro 비전 시스템을 VisionView 디스플레이 및 I/O 액세서리에 연결할 수 있습니다. 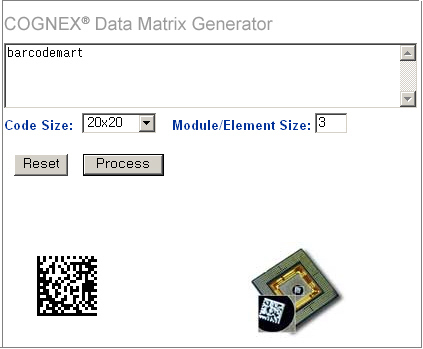 Cognex ID 상품은 가장 판독이 힘든 제품에 직접 마킹된(DPM) 2D 코드까지 해독할 수 있다. 장비 제조사,산업계 전반적으로 제품의 수명이 만기때까지 부품 추적의 요구가 높아지고 있다. 이익 창출성 생산프로세스결과를 자동으로 추적하게 될 경우 많은 비용을 절감할 수 있습니다. 작업시간 뿐만 아니라 실수로 인한 손실, 재작업과 제품회수에 드는 비용을 절감됨. 따라서 생산효율이 향상되며 발생 가능한 실수를 미연에 방지할 수 있으며 자동화시스템을 구축할 수 있습니다. 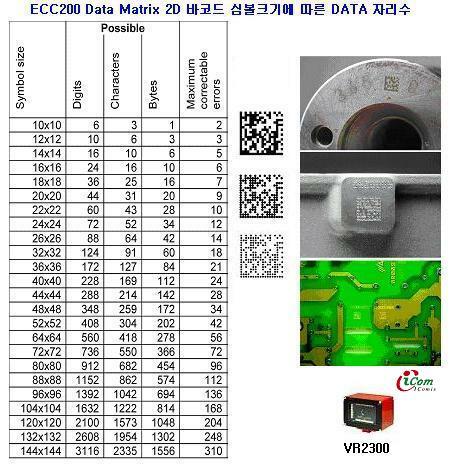 Data Matrix 판독 기술을 이용 조작자가 정보를 수작업으로 기입하거나 입력할 필요가 없이 판독과 저장을 수행할 수 있습니다. 자동화된 ‘추적’은 수작업으로 데이터를 입력할 필요가 없고 수기로 인한 실수,불필요한 서류작업을 없애줍니다. 추적에 대한 산업전반의 엄격한 법률에 의해 제조사들은 반드시 시스템을 구축해야 합니다. 사각형 셀의 행과 열로 구성 코드안에 3116개의 문자를 저장 장비제작업체에게 많은 정보를 이용할 수 있게 해줍니다. 데이터는 작은 공간(1mm 이하의 크기) 에 암호화될 수 있습니다. 코드는 부품에 직접 마킹하거나 도트로 타각되거나 화학적으로 에칭되거나 레이저 또는 잉크젯으로 프린트될 수 있으며 제품의 수명이 다할 때까지 유지됩니다. 현재까지 제작업체들은 이와 같은 상황에서 문제를 쉽게 해결해 줄수 있는 제품을 찾지 못했습니다. 브라우저 기반의 사용자 인터페이스 - 웨이퍼 ID 전용 그래픽 사용자 인터페이스를 포함한 빠르고 쉬운 설치와 수정기능이 제공됩니다. 웹브라우저를 사용한 인터페이스로 다양한 운영체제와 하드웨어 플랫폼이 지원됩니다. 특별한 PC가 필요치 않습니다. 다중 사용자 접근은 몇몇의 사용자가 동시에 판독상태를 모니터링 할 수 있으며, 특별한 소프트웨어가 필요 없이 최근의 이력(ID 와 점수) 및 화면 확인가능. 화상 조정 - In-Sight® 웨이퍼 리더는 최고의 인식률을 위해 마크를 판독하면서 동시에 화상 대비를 포함하여 시스템 파라메터를 자동으로 최적화합니다. * 기본 기능의 툴 세트에는 ID 코드 및 텍스트 판독/검증, 비선형 캘리브레이션, PatMax®를 제외한 모든 In-Sight 비전 툴을 제공합니다.